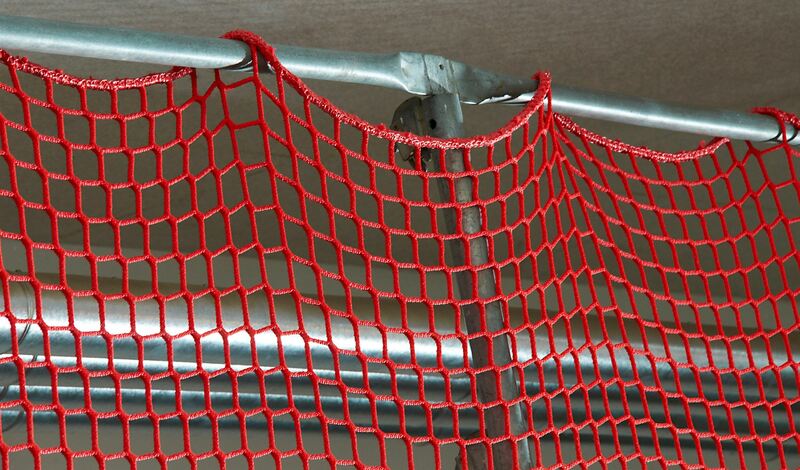 Guardrail safety nets and nets in roof safety scaffolding must conform to EN 1263-1 and the DGUV rule 201-011. 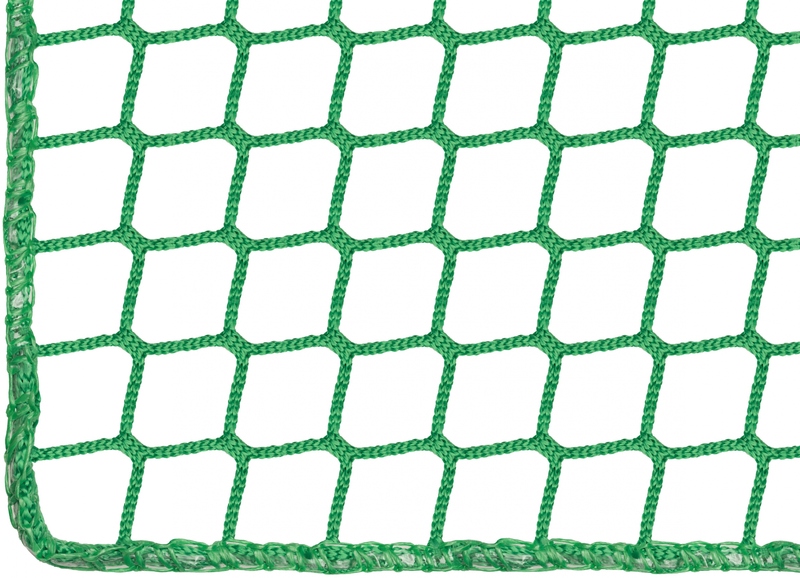 These nets are designated ‘Safety Net System U’ (safety net in supporting constructions for vertical use). 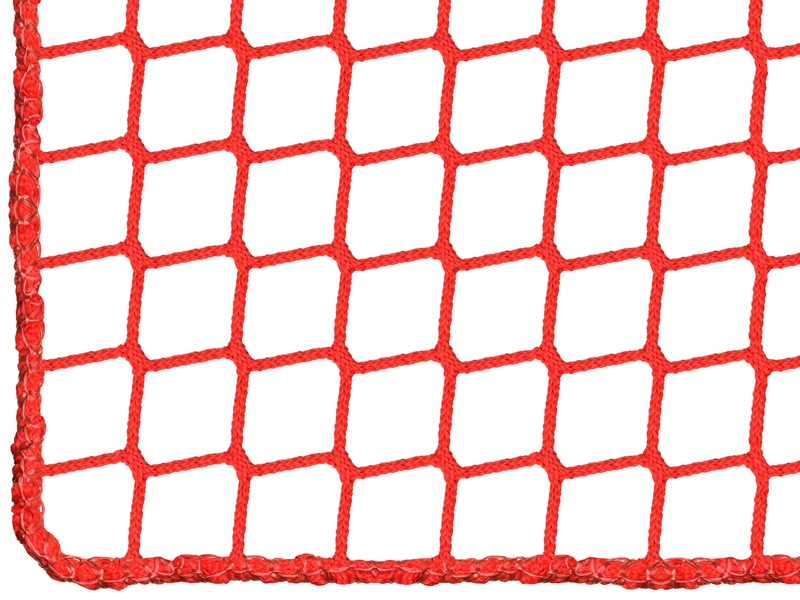 When deploying nets, the intermediate rail can be dispensed with. 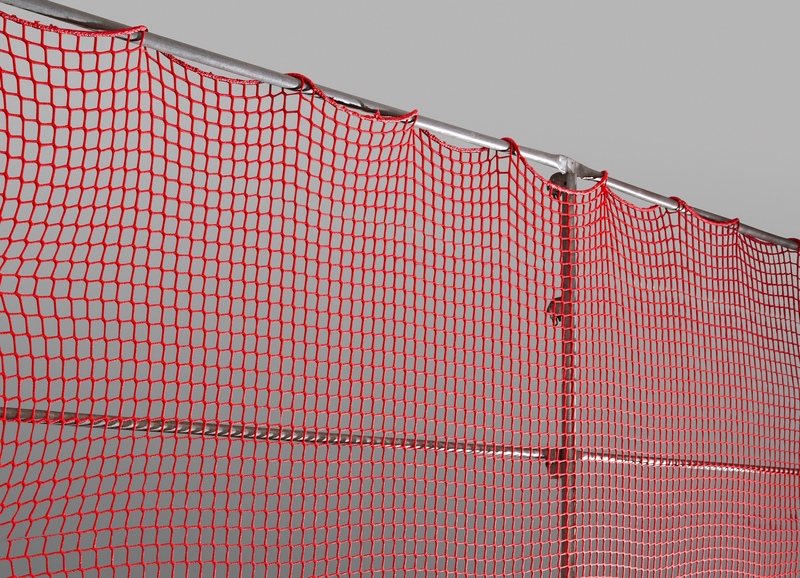 Our guardrail safety nets fulfil all the necessary legal requirements and are characterised by the highest quality and durability. 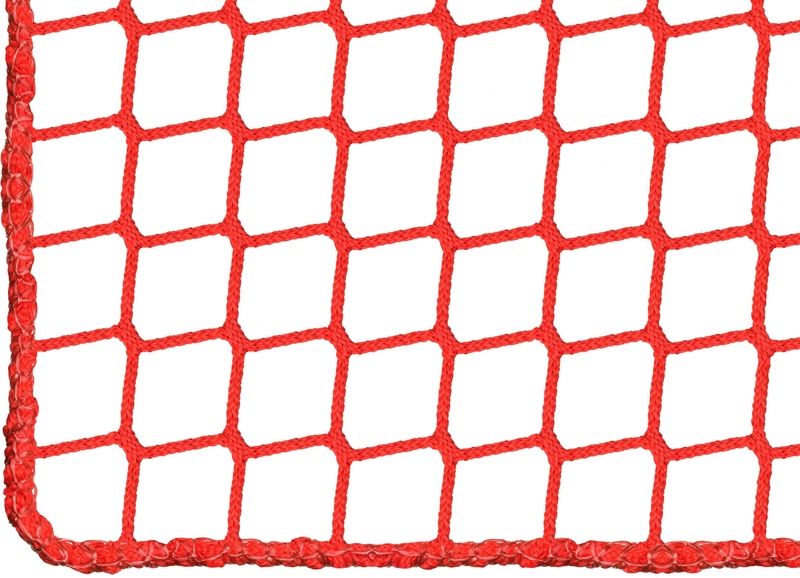 The net has a border measuring approx. 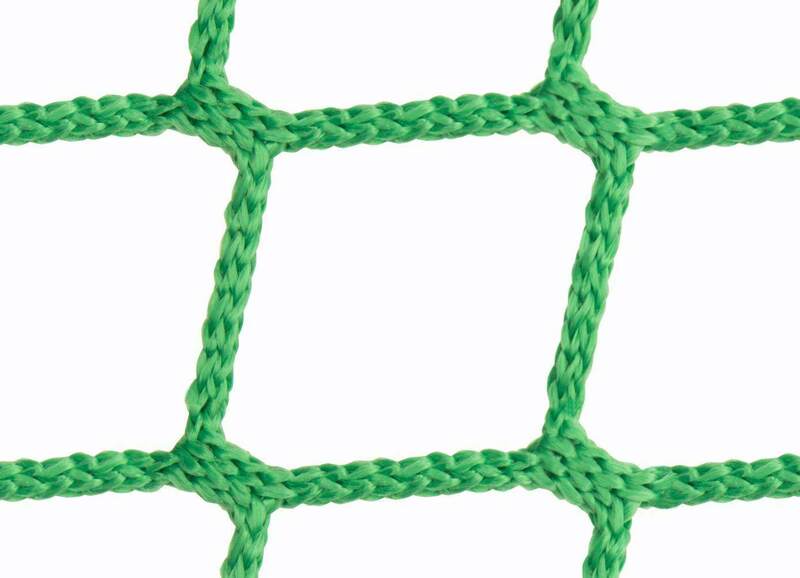 9 mm in thickness all around (see sample picture). 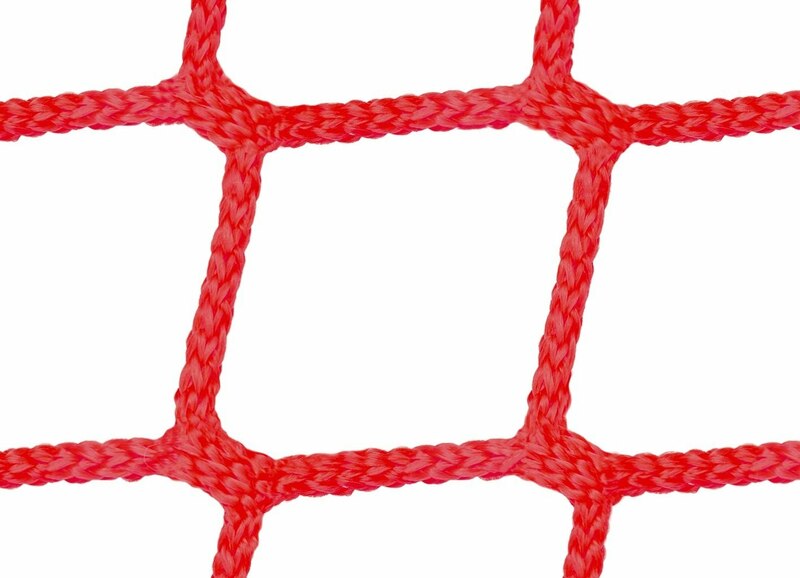 An additional rope is sewn/linked to the border meshes. 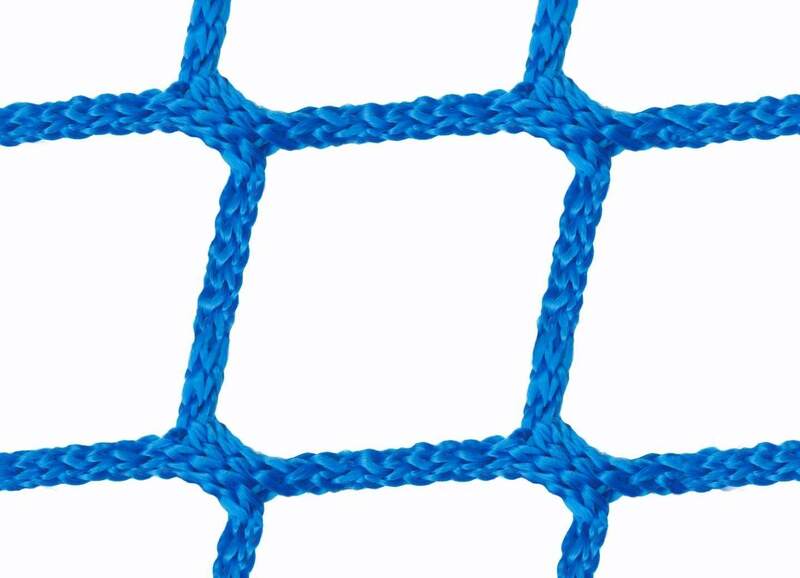 The border gives the net a neat outer edge on all sides while simultaneously providing stable, stress-resistant anchorage points. The border and all seams are executed in the same color as the net.